January is typically a strong month for the municipal bond market, but 2018 began with the worst January performance since 1981, driven by rising interest rates and uncertainty over changes in the Tax Cuts and Jobs Act (TCJA).1 The muni market stabilized through April 2018, but uncertainty remains.2 The tax law changed the playing field for these investments, which could affect supply and demand. When considering these dynamics, keep in mind that bond prices and yields have an inverse relationship, so increased demand generally drives bond prices higher and yields lower, and vice versa. Any such changes directly affect the secondary market for bonds and might also influence new-issue bonds. If you hold bonds to maturity, you should receive the principal and interest unless the bond issuer defaults. 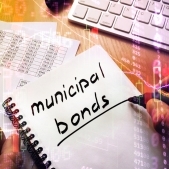 Municipal bonds are issued by state and local governments to help fund ongoing expenses and finance public projects such as roads, water systems, schools, and stadiums. The primary appeal of these bonds is that the interest is generally exempt from federal income tax, as well as from state and local taxes if you live in the state where the bond was issued. Because of this tax advantage, a muni with a lower yield might offer greater value than a taxable bond with a higher yield, especially for investors in higher tax brackets. The lower federal income tax rates established by the new tax law would cut into this added value, but the difference is relatively small and unlikely to affect demand. Many taxpayers, especially in high-tax states, may find munis even more appealing to help replace deductions lost to other TCJA provisions, including the $10,000 cap for deductions of state and local taxes.3 Tax-free muni interest can help lower taxable income regardless of whether you itemize deductions. Treasuries, which are backed by the full faith and credit of the U.S. government as to the timely payment of principal and interest, are considered the most stable fixed-income investment, and rising Treasury yields, as occurred in early 2018, tend to put downward pressure on munis.8 However, Treasuries are more sensitive to interest rate changes, and stock market volatility makes both Treasuries and munis appealing to investors looking for stability. The most convenient way to add municipal bonds to your portfolio is through mutual funds, which also provide diversification that can be difficult to create with individual bonds. Diversification is a method used to help manage investment risk; it does not guarantee a profit or protect against investment loss. If a bond was issued by a municipality outside the state in which you reside, the interest may be subject to state and local income taxes. If you sell a municipal bond at a profit, you could incur capital gains taxes. Some municipal bond interest may be subject to the alternative minimum tax. The return and principal value of bonds and bond fund shares fluctuate with changes in market conditions. When redeemed, they may be worth more or less than their original cost. Bond funds are subject to the same inflation, interest rate, and credit risks associated with their underlying bonds. As interest rates rise, bond prices typically fall, which can adversely affect a bond fund's performance. Investments offering the potential for higher rates of return involve a higher degree of risk.